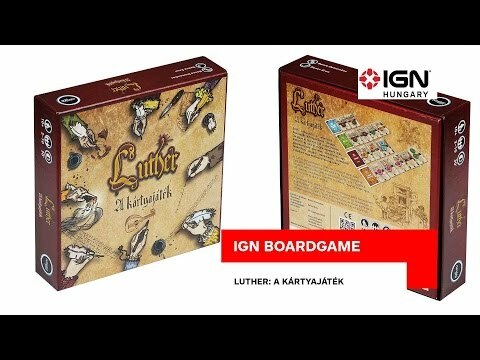 Luther: Das Kartenspiel társasjáték - Magyarország társasjáték keresője! A társasjáték érték! A Luther: Das Kartenspiel egy remek társasjáték, 2 - 10 játékos részére, az átlagos játékidő rövidebb, csak 40 - 60 perc. A társast, 10 éves kortól ajánljuk kipróbálni. A játékmenet erősen épít a kollekció gyűjtés mechanizmusra. We are in the 16th century, after the death of Martin Luther, the world-changing Augustinian friar. Most of his discouraged followers and admirers are still asking each other hopelessly: how to go on without him? What’s next now? Some of them, however, know very well what is to be done in times like this: to write down the events of the reformer’s earthly journey as detailed and as true as possible. This is the only way to pay due tribute to their friend and professor in order to educate the world and the church. So, they organize themselves into a handful of scriveners and set to writing the great biography. But they might get hard pressed for time! While playing Luther – Das Kartenspiel we have the chance to slip into the shoes of these scribes. The teamwork, as usually happens, swings into a little rivalry: who will reap the glory, which comes with chronicling certain stages of life? Who will be the one taking the most manuscripts to the printing house? What’s more, from time to time, the diligent work of the scribes is interrupted by the least expected incidents such as: a carefully inscribed sheet of paper burns or changes hands “accidently”, or a crafty fellow scribe filches a page, or mixes foolish rumours into the reliable notes.